Hong Kong is the most expensive city in the world to buy a home, followed by Singapore, New York, London and Paris, according to new research. These are cities where career expats often aspire towards working, but if they want to buy an apartment then they will pay more than anywhere else in the world, the data from international real estate services firm CBRE shows. These cities have high property costs because they are also popular with global real estate investors as well as expats, says the second annual Global Living report from CBRE, which compares the property markets across 35 key cities. The results highlight that demand and growth remains highest in those cities that offer a safe harbour for wealth and a robust political and economic environment. 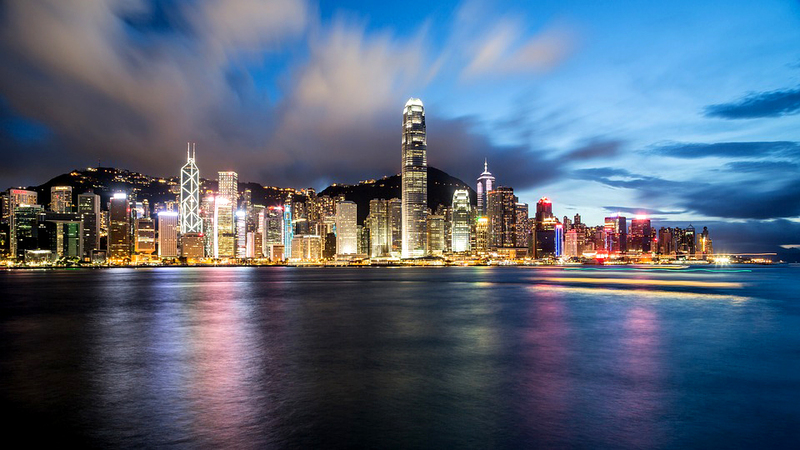 Buying an apartment in Hong Kong costs an average for £1,141 per square foot, by far the most expensive. In Singapore the average price per square foot is £699, in New York it is £689, in London £557 and in Paris £411. Prices are so much higher in Hong Kong because of a lack of supply. The report also points out that apartments tend to be smaller in Hong Kong so buyers get less for their money. Renting a property is also costly in major global cities with Singapore topping the list with an average monthly rental price of £2,250, followed by London at £2.136, Abu Dhabi at £1,944, Los Angeles at £1,933 and Rome at £1,898. Hong Kong comes ninth at £1,490. The report also shows which cities are seeing prices and rents grow the fastest. Istanbul and Vancouver have had the highest house price growth at 25% and 22% respectively, while newcomer Bangalore has made it in to the top three for rental growth. It explains that wider economic growth continues to be reflected in local property markets. For example Istanbul experienced the highest annual house growth, whilst also having one of the best value average property prices at $127.85 per square foot. The report suggests that with increasing confidence in its property market as an investment haven, Istanbul is continuing to show signs of embryonic growth and huge potential. In the UK, annual price growth to the end of May 2016 in London reached 13.6%, up from 8.7% growth one year ago, suggesting that demand for this world class global city remains strong. In Spain, Barcelona has had a significant year of recovery, experiencing house price growth of 5.9% in the last 12 months. Property remains undervalued in the city, according to the report following the sharp post crisis declines. This, coupled with Barcelona’s strong and respected international reputation, means property here is an attractive asset for the foreign investor. Although 81% of Berlin’s population lives in rental accommodation, the city’s sales market is witnessing strong growth at the moment, with a total of 11.2% price growth from 2013 to 2015, while in Frankfurt demand in the rental remains strong and rents have continued to rise, up 1% in 2015 and low mortgage rates have resulted in increasing demand for homes. In the United States, Los Angeles has seen house price growth at 6% and demand is consistently outstripping supply. Limited land supply is also restraining new build growth and thus tall, multi-family apartments dominate the rental market, with the average rental price being pushed up to 81% more than the national average. Meanwhile, Downtown Miami has one of the fastest growing neighbourhoods, with five-year projected household growth at 14.9%. The city is showing considerable signs of recovery from the crippling impact of the 2011 housing crisis, with growth of 10.5% experienced in the 12 months to April 2016. This growth is replicated in an improving rental market.